Nahan, a small town nestled on the foothills of Shivalik ranges, is the district headquarter of Sirmaur. It enjoys a moderate climate, which makes it ideal to travel to in any season. It is often used as a base for treks and short trips to many places of note close by. Nahan, founded in 1621, was capital of the princely state of Sirmaur. Strategically located, this princely state was a gateway to most North Indian and Afghan states and was turned into an important base by British rulers later. The town has several palaces, temples, is clean and well planned; well worth a visit on its own. Chaugan Road, Bada Bazar and Mall Road are places of interest within the township where one can shop for Himachali woolen caps, shawls and other items. Handicrafts are also hot on the shopping list of visitors. Near Nahan there are several places of interest to explore for a day or an overnight visit. 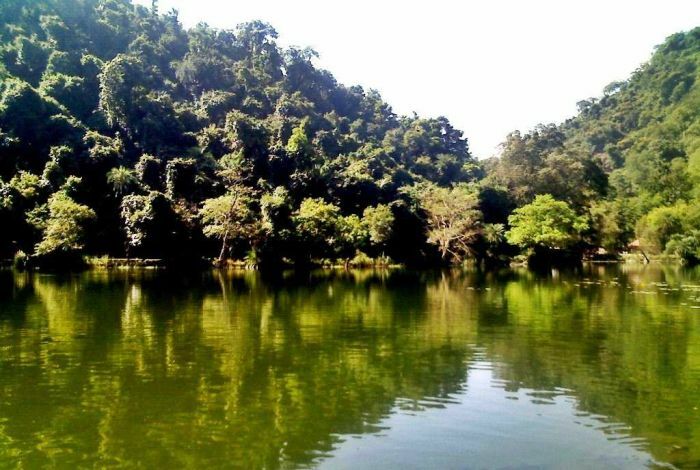 This scenic natural lake has an interesting tale about it. Narrated by old timers that Renuka Devi fell from a height after an argument with her husband. As she was a blessed being, a lake formed on the spot where she fell. Even today, when seen from a height, the shape of the lake does look like that of a reclining lady. 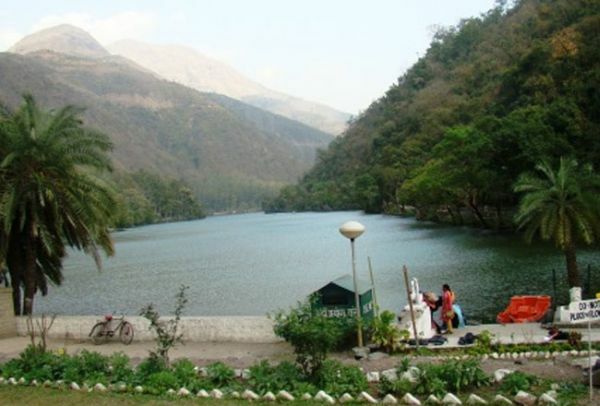 Among all natural lakes of Himachal Pradesh, Renuka happens to be the largest. One can enjoy boating and fishing here. 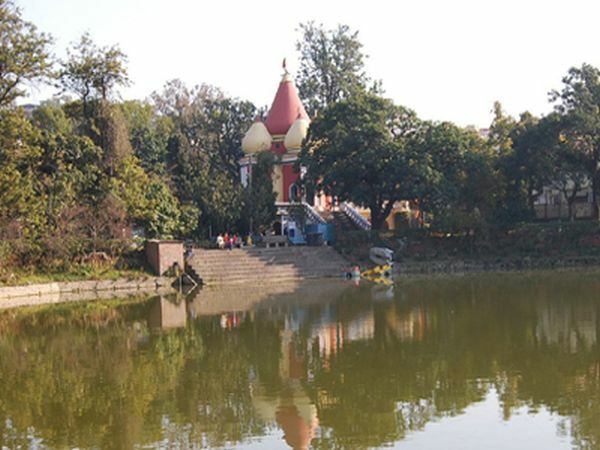 Visitors are often amused by appearance of water animals like turtles and a varieties of fish in the lake. The Renuka Wildlife Park, in the vicinity of the lake, is worth exploring. Visitors, for a fee, are allowed to take their vehicles inside the park. As the name suggests Rani Tal has a large water body with a temple, making the place a sanctimonious one. It was built by the rulers of Sirmaur when it was a princely state. Many birds, which include cranes and ducks that are found around this lake enhance the beauty of this scenic spot. A Fossil Park is close by. Life sized models of per-historic animals made of fiberglass have been put up at this park after many fossils were unearthed here. This is the only on-location fossil park in Asia. Of much interest to history lovers Sirmauri Tal is actually the ruins of an old city. As is common to many ruins across the country, there is an interesting tale attached to this place. A courtesan was betrayed and killed by the king, goes the story. Her fury reached out from behind the grave and brought ruination upon the town by sending floods to drown it. The legend adds romance to the ruins scattered at this forgotten place. This wildlife sanctuary, nestled between Nahan and Paonta Sahib, encloses are large area of Shivalik range ridges and low lying valleys. Rich in flora and fauna, some of the animals found here include Goral, Sambhar, Cheetal, barking deer, leopard and the wild boar. The forest is predominantly that of Sal trees and is populated with birds like wild jungle fowl and partridges. There is a guest house within the sanctuary where nature lovers can stay to explore the forest at leisure. Paonta Sahib was founded by Guru Gobind Singh, the 10th Guru of Sikhs,. An iconic Gurudwara on the bank of Yamuna river commemorates the great Guru’s stay at the place. During the four year stay at Paonta Sahib, Guru Gobind Singh is said to have complied the holy Dasham Granth here. The Paonta Sahib Gurudwara has become an important pilgrimage center and is visited by believers of all faiths. A museum houses weapons and other artifacts from the time of Banda Bahadur and Guru Gobind Singh.